Room 912, located at 912 E. Main Street, in Richmond, Ind., opened in January 2014. This space is comprised of an art gallery, classroom, and student studio space. Both IU East and the Richmond Art Museum offer classes in this university space. 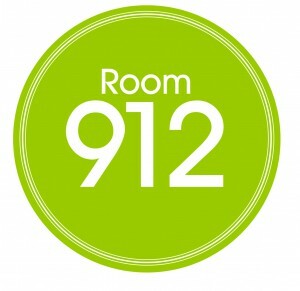 Room 912 was created in order to provide additional space for gallery exhibitions and the growing fine arts program. Downtown Richmond was selected due to its rich history, expanding business community, and future potential. Opening Room 912 was the perfect opportunity to position IU East as a steward of place and to promote partnerships that are essential to strengthening the community. Kaylyn Flora, of Richmond, Ind., is a double major in Fine Arts and English at IU East. She said the expansion of IU East’s Fine Arts department into downtown Richmond is as significant to students as it is for the community. Indiana University East has received approval for a new graduate degree program, a Master of Arts in English, from the Higher Learning Commission of the North Central Association of Colleges and Schools. Students completing the M.A. in English will earn a minimum of 36 credit hours. The curriculum is designed to be completed in two years if graduate students attend full-time. The English Department will begin offering classes for this program in Fall 2014. For more information about the M.A. in English and application process, contact Margaret Thomas Evans, English Department chairperson, at (765) 973-8614 or email margevan@iue.edu. The School of Humanities and Social Sciences is working to build a culture of internships for our students. Beginning in the fall, HSS students will have additional opportunities to pursue both paid and unpaid internships, while earning credit towards graduation. These opportunities are available through a combination of HSS Strategic Investment funds and the new EARN Indiana program sponsored by the state of Indiana. EARN Indiana replaces the state’s work study program and will provide matching funds for businesses, non-profits, educational institutions, and state and local government organizations when they hire qualifying students as interns. One of the newly created opportunities for the fall semester is a Special Events and Volunteer Recruitment internship with Junior Achievement of Eastern Indiana, which has recently been approved by the EARN Indiana program. The student who accepts the position will work to plan the Sporting Clays Tournament and Bowl-a-Thon, assist in board meeting preparation, help with volunteer recruitment, and manage the sponsorship database. Students can learn more about this and other opportunities at indianaintern.net. The importance of experiential learning has grown in recent years and internships allow students to apply their academic coursework to the professional world, explore their career interests, and enhance their transferable skills. Recent research has found that more than 70 percent of jobs are not published through traditional means, so network building is an essential need for current students. Additionally, nationwide surveys have found internships boost starting salaries, shorten the time it takes to find a job after graduation, and sometimes lead to full-time employment. If you are interested in hosting an intern at your organization, please contact Katie Chaney at kabaldwi@iue.edu. Simon Clopper Retrospective—July 23-August 29: An exhibit of the efforts and evolution of one of Richmond’s veteran artists. Included are examples of Mr. Clopper’s designs in the commercial art field, theatrical background, and works as paintings and drawings over a period of fifty years. Photographs by Satya Banga—July 28-September 12: An exhibit of images by photographer Satya Banga, with emphasis on the non-objective views of common and recognizable objects. From Russia With Love—July 13-September 19: An exhibit of native Russian Armen Babayev’s images in the form of monoprints, batiks, and watercolors. Creating a Shared Future—April 1-December 12: An exhibit featuring “social awareness” themed artwork by IU East Fine Arts professor Ann Kim and art students Kaylyn Flora and Brittany Williams. Posted in Humanities & Social Sciences | Comments Off on Mark Your Calendar! By Yu Kay Law, Ph.D. In recent years, there have been many news headlines related to energy in everyday life: gas mileage mandates from the government, tar sands and the environment, the possibility that we’ll run out of crude oil, biodiesel and wind energy … and so on. It is important that Indiana and our nation (and the world as a whole) has a well-informed citizenry that understands the science behind what is discussed in the media as well as the economic and environmental impact behind choices we make as a nation and as mankind. With this in mind, I think that it’s very important that a balanced view of this topic is reached. It is important that we understand the principles and issues related to the use of fossil fuels (including why they’re so convenient!) and also have a good understanding of renewable fuel sources. On the other hand, we need to have an understanding of what energy is and how much energy is used in different everyday activities. This sounds like common sense, but quite a few textbooks are written without a balanced treatment of all of these issues. Furthermore, textbooks quickly become out of date, given that our energy portfolio and the available technologies change significantly over time. In response to this, I have developed using a Course Development Grant an online course – PHYS-P 120 (Energy and Technology) – which is designed to achieve exactly these goals. Starting with an overview of what energy is, students learn about our energy use in everyday life – cumulating with an overview of how energy is used in everyday life. The course then changes course to examine various energy sources used in society today, discussing the principles and issues related to the use of each of these energy sources. It cumulates with a discussion of strategies for resolving energy issues in the future. In terms of course delivery and organization, the course features a range of videos and reading assignments; a “right-tech” approach was designed for the course in order that . Reading assignments are taken from a wide range of e-books, ranging from textbooks on the subject to parts of specialized texts and relevant articles. Likewise, while many videos were produced for this course – ranging from traditional short online lecture-presentations to “at-home” demonstrations and illustrations of concepts in the course – students were also assigned documentaries and other videos on events and controversies related to the course material. After learning about the material through reading and video-watching, a range of supporting learning activities were assigned for students to participate in. In particular, students were also assigned a range of open-ended questions that contain value judgments related to the material to discuss in the context of social problems to discuss as a class. In addition, all course participants – including myself – were required to estimate their energy use and compare and contrast how different lifestyles and living conditions affect our energy use per person, and to examine what the major contributions to our energy use are – some of the answers are in fact rather surprising to those who haven’t done the calculation! At the end of this six-week intensive course, students will have an understanding of the issues facing us in the energy realm, and will be able to participate intelligently in discussions on challenges, controversies, and choices that society faces in using and “generating” usable energy – questions for which there are no “correct” answers. Homecoming events are celebrated at many U.S. campuses, typically during the Fall semester, and IU East is no exception. This year, Chancellor Cruz-Uribe initiated the first homecoming parade and community celebration. Held in the Richmond Historic Depot District, student organizations, Rufus the Red Wolf and Junior Red Wolves (IU East kids’ club) members, the Homecoming Court, student-athletes, and community groups and organizations came together for a fun-filled evening. 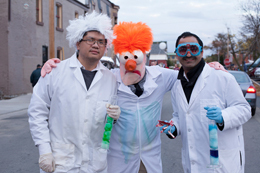 Yu Kay Law as Einstein, the Natural Science and Mathematics Dean, Neil Sabine, dressed as Beaker from Sesame Street, and Hitesh Kathuria wielding dry ice entertained kids and adults alike as they walked the parade. Mark your calendars! The School is already planning for next year’s event which will be in October, so come and join the fun! I would like to take a few minutes of your time to address the global impact of the School of Natural Science and Mathematics here at IU East. First, we have several international students that are completing their degrees online. For example, one of our students lives in Belize, and is a junior in our Bachelor of Arts in Biology program. 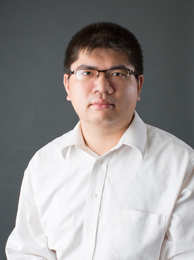 He, like many of our international students, is having exceptional academic success. Students in our school are gaining strong international perspectives as well through our study abroad opportunity. Over 100 of our students have taken classes where they have spent weeks in Belize or Costa Rica. Some of our students spend much longer times overseas. Kelsey Meyer, a December 2013 graduate of our Biology program, spent a year in London taking classes. The impact of these experiences on faculty and students can’t be overstated. Second, NSM is reaching out to other countries by offering academic opportunities never before realized. We began by contacting every post-secondary institution in Central America to offer their students the opportunity to apply for our Bachelor of Science in Mathematics program. This degree is particularly appealing to international students because the last two years of the program are completely online. We also have students from India who are interested in coming to Richmond to complete their entire degree onsite. Many of these have strong academic backgrounds and we will be preparing them to be competitive for admission to medical school. It is clear that we live in a global community and the School of Natural Science and Mathematics is committed to having all students reach their potential whether they are in Richmond or Rio de Janeiro. 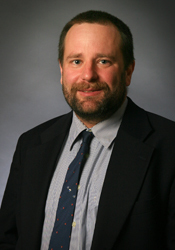 Markus Pomper, chair of the Department of Mathematics, was invited to be a panelist at a podium discussion at the Indiana Section of the Mathematical Association of America (MAA). The meeting was held on October 26 in Evansville, Ind. The panelists explored topics ranging from the challenges to teaching online classes in Mathematics, overcoming student problems, and instructional techniques. Pomper was selected to participate in this discussion because IU East is in the unique position to offer an entire degree program in Mathematics online. During the past year, the enrollment in the online math program has grown dramatically and now enrolls 90 students, who reside in 34 states or U.S. territories. Some of the students reside in Canada, Germany, Israel, Korea and Japan. IU East is the only U.S. institution to offer a Bachelor of Science degree online. 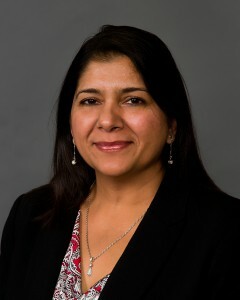 The School of Natural Science and Mathematics Welcomes New Faculty, Simran Banga, Ph.D.
Indiana University East is pleased to welcome Simran Banga, Assistant Professor in Biology, as a new faculty member in the School of Natural Science and Mathematics starting in the fall of 2013. In addition to her work at the university, Banga enjoys spending time with her family, reading books, playing games, and watching movies. She and her family have settled into the Richmond community, and are looking forward to many years here as Red Wolves. The School of Natural Science and Mathematics here at IU East has made significant strides in our efforts to reach out across the globe, bringing knowledge, community, and opportunity to students worldwide. Our online B.S. in Mathematics has been well-received by students, not only here in the States, but around the world. The science department is now branching out; we have one student from the country of Belize, and our concentration is currently focused on prospective students in India. IU East offers a traditional college education within today’s world of online students. Competitive programs in Biochemistry, Biology, Mathematics, and Human Life Science are reaching across the globe to potential students looking for a campus to call home; either on-site or online. We are excited about the prospect of taking our programs and faculty around the world, and cannot wait to see where we go next. Want to know more? Contact the Dean of Natural Science and Mathematics Neil Sabine at nsabine@iue.edu or Assistant Professor of Chemistry Hitesh Kathuria at hikathur@iue.edu to find out where we are aiming next and how you can be a part of this growth.